"I first started seeing Deirdre 6 years ago to help with sleep issues and a longstanding niggling knee injury. Her treatments brought me great relief from both and I quickly realised she was an exceptional practitioner. She quickly became a fixture, every time I got hurt during sport, Deirdre was an integral part of the recovery process. Her knowledge base is immense, and she is forever coming back with new approaches and techniques to treat her patients. I find her careful and meticulous and can safely say she has never hurt me despite the hundreds of needles she has used on me over the years. Three years ago I suffered a spinal cord injury and Deirdre was given special permission to come and treat me in the rehabilitation hospital. My specialist and physio watched on in amazement as she made connections happen with her needles. My care team eagerly explained my condition and any developments to Deirdre knowing that she would not only understand all the jargon but come back with a plan of action to support their work. My recovery surpassed all expectations at the time and Deirdre was a constant support throughout it all. I am still a loyal patient and would recommend Deirdre to anyone. 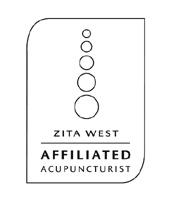 "I found getting Accupuncture, starting at 38 weeks, a real help for a number of areas of my pregnancy. I went for cervical preparation but was feeling a little anxious that day about the impending labour and Deirdre tuned into this and also looked after that area too. I went on at 40 plus 4 days to have a very fast and relatively 'easy' labour with the safe arrival of a baby boy. "I have had on going medical problems with my back since prolapsing 2 discs over thirty years ago. I actively manage this by keeping fit and healthy and doing Pilates based exercises. ( For 14 years with Deirdre ) However, due to its inherrant instability, it becomes inflamed at times with accompanying pain and weight bearing problems. I had always treated this with strong analgesics and rest and resigned myself to the fact that I'd be unable to exercise for 2-4 weeks, until the spasms and swelling subsided and normal function returned. A process I knew well that could not be hurried. (I was an orthopaedic nurse) Someone suggested trying acupuncture. I was very sceptical about it and I didn't believe it would help at all but I was willing to try it. I asked Deirdre if she would treat me. I knew she was highly qualified and had the knowledge and skills required and I had complete confidence in her abilities. At her clinic she welcomed me with a perfect mix of friendliness and professionalism that I felt completely at ease and relaxed. During the acupuncture session her calm and gentle manner and her lightness of touch was such that I did not feel a single needle. Afterwards I felt a lightness and a sense of well being. On a less ethereal level my symptoms improved markedly over 48 hours and my overall recovery time was halved. I was surprised and delighted. Since that first time I have been treated with acupuncture by Deirdre many times, not only for my back, but for two torn calf muscles, tennis elbow and menopausal symptoms. Thankfully not all at once and all with great success. On one occasion in December last year my back went into spasm at the end of an exercise class. Deirdre treated me, on the spot, with an emergency acupunture technique and I lay still for an hour afterwards. I was amazed that I was able to walk and drive home. I fully expected the usual couple of weeks for the sciatica to settle. I was pain free and weight bearing within 24hours.